Take the stage with the Akai MPK Road 88 MIDI keyboard. A professional solution for the advancing keyboard player. 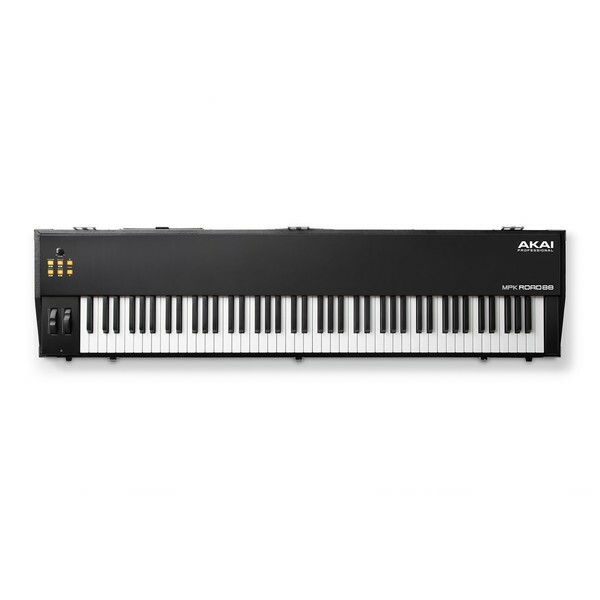 The MPK Road 88 is an incredible choice if you're seeking convenience, without compromising processing power. Fully equipped with innovative modern technology. The MPK Road 88 offers a dynamic playing experience, while it maintains the natural feel of a full-range hammer-action keyboard. With the inclusion of an integrated 4-out USB soundcard, and a road-ready travel case. 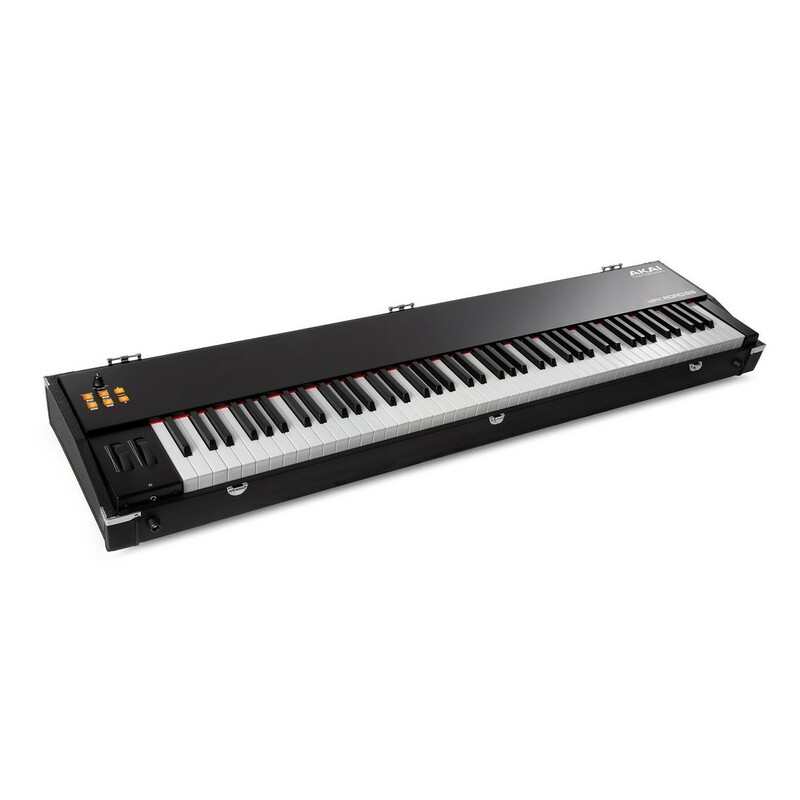 The MPK 88 is carefully made with full transpose, split, pre-set selection controls, and full MIDI integration. Everything you need to deliver your best performance ever! Meticulously designed with Akai’s Professional’s exclusive Model-A premium, velocity-sensitive keybed. The MPK Road 88 is carefully engineered with the aftertouch feature - a technology that allows you to play with dynamic expression. The Road 88 comes equipped with a 4-output USB soundcard, MIDI in/out connectors and three variable pedal input. Perfect for live performances! What’s more, it’s tough road-ready travel case is carefully made with the carrying handles for easy transport. Akai know that the touch and feel of your keyboard is everything! That’s why they have created a distinction between the ordinary and extraordinary keyboard! Akai Professional has spent years of intense engineering research and development to create this Model-A keybed. And the evidence is clear! 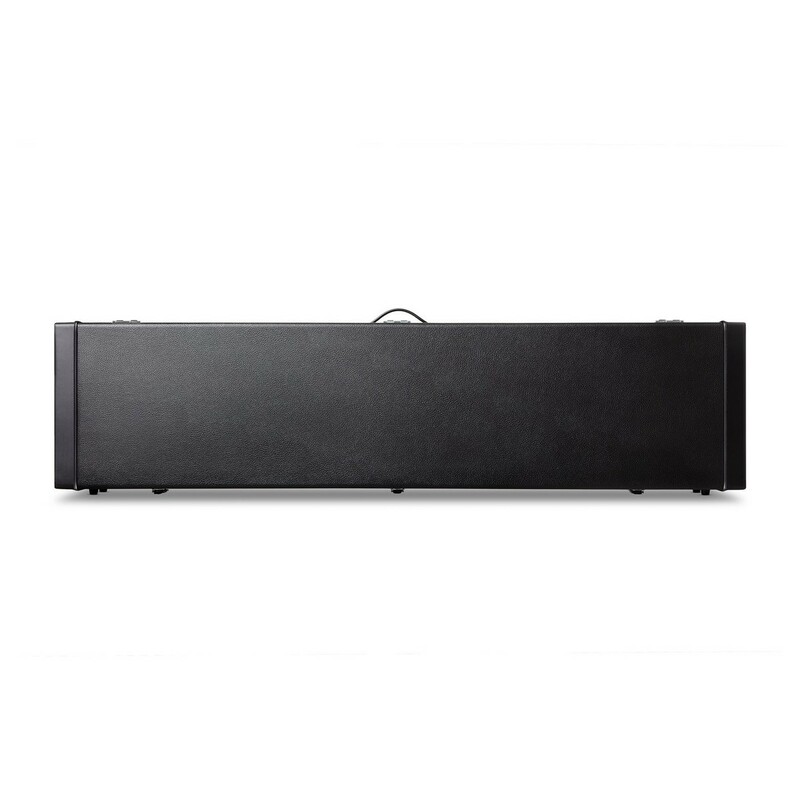 This hammer-action, velocity-sensitive key-bed delivers an incredibly natural and responsive feel, absolutely unmatched by any instrument anywhere near its price. 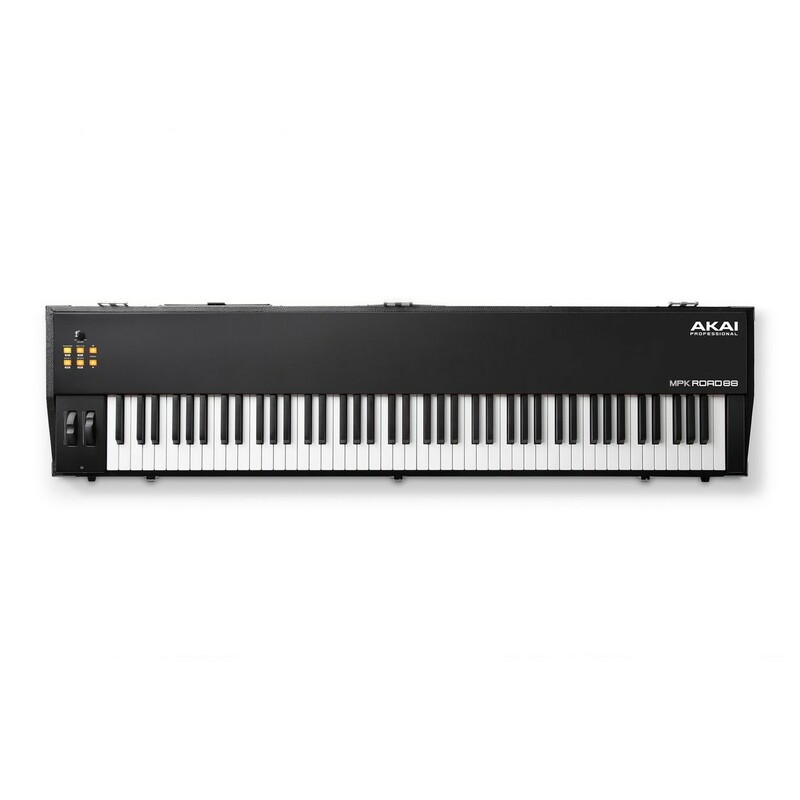 Now be sure to enjoy the portability, without compromising the quality of the MPK 88. The Road 88 offers an incredible range of sounds to support your studio music production and live performances. With a countless choice of sounds and effects, you can bring your music to life! With MPK Road 88’s integrated class-compliant 4-output soundcard and superior player-centric response, you can easily route your virtual instruments to mixers and monitoring sources simultaneously for a truly hassle-free setup. This keyboard enables you to manage and employ your VI collection to maximum effect, with a keybed designed for optimum expressive capability. With the road 88, you can easily connect your keyboard to a range of external devices, all thanks to Akai Professional. 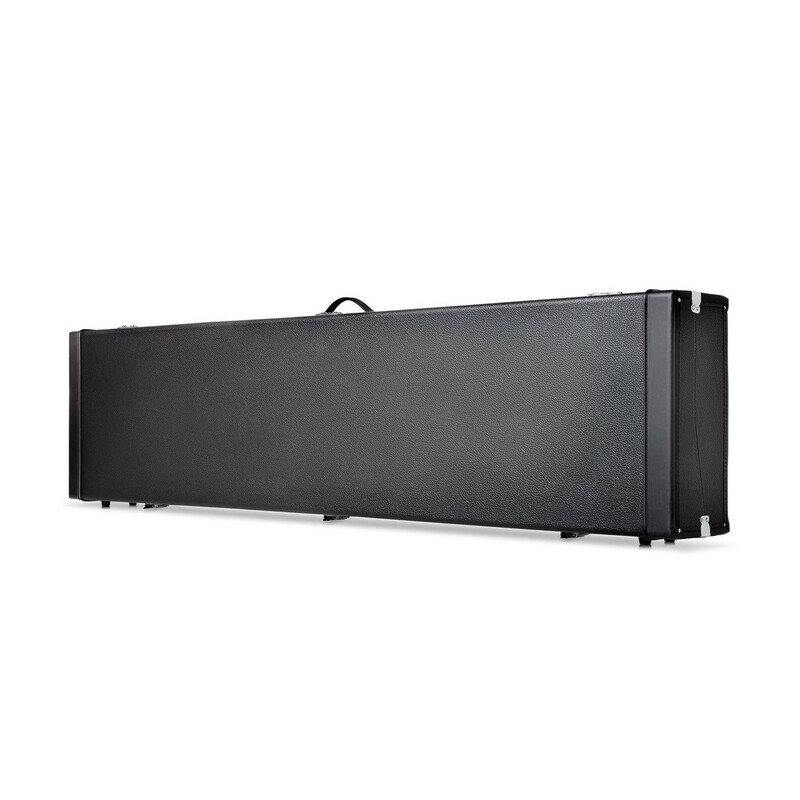 Fully equipped with the dual expression pedal inputs, sustain pedal input, 5-pin MIDI-In and MIDI-Out ports and the industry standard USB port. The Road 88 allows you to connect to any outboard gear. Perfectly suited to take on any stage!